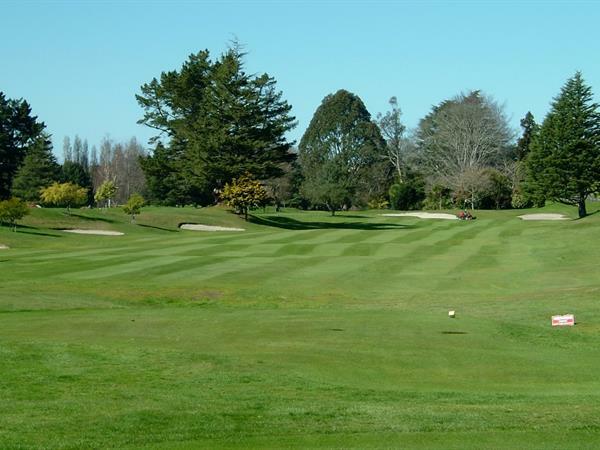 There are a number of great golf courses near Aaron Court Motor Inn - your Hamilton motel accommodation - and in the wider Waikato region. So if you are keen on playing a round, there are quite a few options. St Andrews is one of New Zealand’s premier golf clubs and has a tranquil, relaxed setting along the Waikato River. The signature hole would have to be the par 3 18th. While protected by bunkers surrounding the green that catch any shot lacking in direction and distance, it's the 2 metre deep front bunker that's most intimidating. St Andrews is located on the northern side of Hamilton and welcomes visiting players. Lochiel Golf Club is situated opposite the Hamilton Airport. With a challenging 18-hole course, the club is open to visitors all year round. Expect irrigated fairways, excellent greens and a fully stocked Pro shop. Electric golf carts and trundlers are available for hire. Located on Airport Road approximately 1.5 km from the Tamahere turn off on SH1 heading south from Hamilton, Narrows has an easy walking Par 72 layout. Narrows has long been regarded as the friendliest club in the Waikato and derived its name due to its location beside the narrowest part of the Waikato River. Stunning views of the river can be seen from several of the holes which run alongside the Waikato River. This lovely golf course just south of Hamilton is ranged along the Waikato River and is the oldest club in the Waikato. Situated on 53 hectares, approximately 3 km south of Cambridge, this rolling course is on pumice subsoil and old riverbeds which ensures excellent drainage. The natural shape of the land has been well used in the design. Mature trees and shrubs add to the attractiveness, and fit in with the old world charm of the Cambridge Township.